What Ever Happened To The Guitar Solo? The other day, fellow future BumsLogic blogger Mike Eddy and I were having one of our many conversations about music. 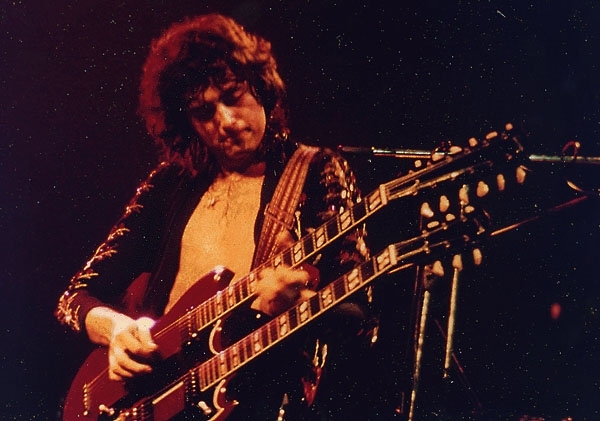 Over time, the topic turned to the lack of the great “Guitar God” in modern music. 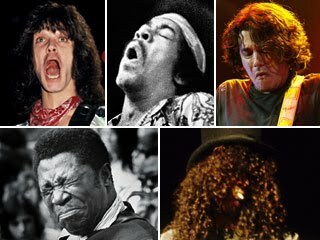 Don’t get us wrong, there are dozens of incredible, capable, groundbreaking guitars players around today–too many to list here–it’s just that at some point it ceased to be cool to play a guitar solo and/or be considered a “Guitar God.” In mainstream/classic rock the last undisputed leader was Eddie Van Halen. And that was back in the 80’s! Slash, Tom Morello, and more recently, Jack White, have seemed to inherit the role since. Those players are all rooted in classic rock styles, and while technically and creatively proficient in their playing, they don’t carry the declaration of “God” such as Clapton, Page, Hendrix, Santana, Eddie, etc. once did before them. NiceGuyDC: Hey man, really enjoyed your band. Cool songs. Jaded: Thanks. Appreciate it. Thanks for listening. NiceGuyDC: I’ll tell you what, it was kinda interesting watching you play guitar. Jaded: Oh yea? Why’s that? NiceGuyDC: You are definitely the first guitar player I’ve ever seen in a DC rock band that bends notes while playing. NiceGuyDC: You just don’t hear much of that anymore. Jaded: No you don’t. Maybe it’s cause I’m not ashamed to admit how much I bite off Jimmy Page. Before I move on, let me just say that there are plenty of bands/guitar players from DC that “bend notes.” I think what NiceGuyDC was trying to say was that the guitar players in today’s popular rock bands don’t play solos. It’s not that they lack the skills or ability, it’s that they just choose not to. The guitar solo has become a sign of self-indulgence and should only be used when adding swashing effects to a two note repetitive wail. Don’t even dare take on an extended improvisational solo outside of the jam band circuit these days, that is, unless you want to be called a jam band (Sonic Youth notwithstanding). The guitar solo was bred out of the jazz and blues players who came around long before Chuck Berry was rocking the two-noter. In jazz, you have a series of exploratory solos by each member of the ensemble. Essentially, they take turns soloing. 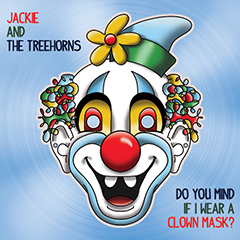 The early jam bands took this concept and mixed it with rock music. The Brit Rockers took the solos from the blues guys and added their own pop-laced, accessible twists. By the time Hendrix hit the scene the guitar solo was a symbol of your status in the musical community. Hendrix took all the improv skills of Coltrane and combined them with raw blues of Buddy Guy and Howlin Wolf. He was, and still is, untouchable. So are the days gone of the “Comfortably Numb” bombast or the speed and virtuosity of an “Eruption?” Will we ever hear a new guitar solo that impresses us like when Stevie Ray hit the scene and completely slaughtered the other blues players around at the time, or when Jack White stunned us with his octave pedal and pure musicianship? Is it really all about effects, loops, vintage amps, weird tunings, and strange sounds? Can I get a Santana-circa-1970’s-instrumental album please? Do you know who Brian May is? There will always be a place for the guitar in rock and musical fads come and go. The big arena rock solo came and went. So did hair metal, rap rock, Wang Chung, and disco (with garage rock coming up next). And like any good fad, the solo will surely come back into fashion in the future. So bravo out there to all of you young guitar players still reading Guitar magazine and practicing your favorite bands songs. Good for you for trying to play as fast as you can, learning all the Metallica solos, and making sure you throw in some Avenged Sevenfold for good measure. Come 2017 one of you is going to be the first Guitar God in 3o years. Best one note solo in rock history at 2:07. I think “freebird” was the apex of self-indulgent guitar solo and anyone attempting more than a few measures of gutiar music in a piece would face mockery and comments like, “WTF, you trying to play freebird, dude?” Nobody outside of Rush does drum solos anymore, either. It used to be a staple of most rock shows. Now it has become musically trite, but I believe you are correct in that the fad will make a triumphant return. Long live tony iommi. It’s all about attention spans. People used to be able to get through entire albums, 17 minute epic songs with multiple solo breaks, concept records, etc… Now people are lucky to sit through a 4 bar Taylor Swift interlude without wanting to forward the track. It also didnt help that “shredding” became a past time. Blindingly fast for the sake of blindingly fast became a badge for a lot of guitarists. Where are the dash-slappers of today? Good post. I’ve wondered about this myself. My son plays in a couple of bands. With rare exceptions, he has no desire to – as he calls it – “shred.” Too bad. I crave even one 12-bar chorus. BTW, as a guitar player, Neil Young makes a great songwriter.